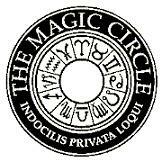 Entering the headquarters of the Magic Circle is a weird and wonderful experience. Scholarly magicians wander around the library, which contains the secrets behind thousands of illusions. One section is labelled “Ventriloquism, Hypnotism and Allied Arts”, while another is headed “Mentalism, Memory, Occult and Fortune Telling”. In the card trick section, there are entire volumes devoted to just one illusion, such as “Ambitious Card Omnibus”, which contains over fifty different ways to insert a card in a deck and make it rise to the top. Even more magical are the hundreds of props that adorn the building, including Harry Houdini’s handcuffs. Also on show are Maurice Fogel’s X-rays, which show bullets lodged in his chest and hip, the result of his attempt to catch a bullet in his teeth. While a few magicians in the bar talk about the greats of the past, the majority are performing card tricks, sometimes exchanging techniques, sometimes trying to outwit each other. Founded in 1905, the Magic Circle is a clandestine organisation for magicians, conjurors and illusionists, allowing them to discuss their ideas in an environment where their secrets are safe. The society’s motto is “Indocilis Privata Loqui”, which roughly translates as “keep your trap shut”. It is very rare that journalists are allowed to visit the Circle, and I have to agree to abide by the society’s motto with respect to certain things that I will witness. I am being escorted around the Magic Circle by Peter Lamont and Richard Wiseman, who are not only magicians, but also psychologists working at the Universities of Edinburgh and Hertfordshire respectively. This evening they have organised a unique seminar devoted to the psychology of magic. In order for a magician to perform a successful trick, it is not enough to have nimble fingers or a clever gadget, it is also necessary to exploit the psychology of the situation. For centuries, magicians have accumulated a whole series of psychological insights, touching on areas such as memory, perception and deception. However, this body of knowledge had never been formally documented until this week, when Lamont and Wiseman published “Magic in Theory”. The book has three aims; to help magicians improve their performance, to provide psychologists with knowledge from a previously untapped source, and to teach parapsychologists some of the ruses used by pseudo-psychics. “Magic in Theory” is an intriguing text, even though it has a analytical, clinical and dry approach to its subject. It begins by outlining the nine types of conjuring effects (e.g., vanish, penetration, restoration), and then takes one particular illusion and examines it in minute detail. The trick under scrutiny is the vanishing of a coin, whereby a magician appears to pass a coin from one hand to another, closes the hand around the coin, then opens it to show that the coin has disappeared. Lamont and Wiseman refer to the coin vanishing as the ‘effect’ and label the so-called false transfer that is at the heart of it the ‘method’. The effect is what the audience sees, and the method is the magician’s secret way of achieving the effect. Ideally, the audience fully appreciates the effect, but cannot deduce the method. The challenge for the magician is to divorce the effect from the method so completely that the audience has no hope of reconstructing the method after the trick is over. This is achieved using the psychology of misdirection, once called “the grand basis of the conjuror’s actions.” Misdirection generally means directing the audience’s attention towards a particular area, enabling the magician to perform the vital conjuring action unnoticed elsewhere. Successful misdirection exploits several psychological principles, such as the fact that the human mind is easily distracted by novelty or movement, and the tendency to look where others are looking. Hence, a magician shows a hat empty, then introduces his glamorous assistant. On the way to the stage, however, she trips and falls. As the eyes of the magician and the audience turn to see what happened, the magician sneaks a rabbit into the hat. As Lamont explains, however, this is a rather crude example. In addition to physical misdirection, there is also mental misdirection, which misdirects suspicion rather than attention. Mental misdirection is particularly useful because it hinders the audience’s attempt to figure out how the trick is done. If the magician can temporarily direct the audience’s suspicion towards a false method, they will be less likely to discover the real one. During the trick, they think they know the method, but at the end are shown to be wrong. By that time, it is too late for them to figure out the real method. These psychological swindles are also used by fake psychics, and Dr Wiseman has exposed several cases of bogus psychic phenomena. A few years ago, he investigated Swami Premananda, an Indian guru who apparently materialised trinkets out of thin air. Wiseman’s investigation suggests that Premananda may well have been using the sort of misdirection typically employed by magicians. For example, at one point during Wiseman’s visit, the Swami attempted to make a trinket appear, but failed. Everyone around him relaxed their attention, giving the Swami an opportunity to surreptitiously take a trinket secreted in his lap and hide it in the palm of his hand. With the trinket now secretly in place, the Swami chatted away for a few minutes, and then suddenly ‘materialised’ the object. Wiseman believes that the Swami was using misdirection to divert onlookers attention away from the moment in time that the trick actually took place. As Lamont pointed out during his Magic Circle seminar, the pseudo-psychic has several advantages over the traditional magician. Magicians are generally not allowed to fail, and cannot afford to chat for a considerable length of time before producing an apparent miracle. Furthermore, the magician is being scrutinized by a critical audience who are keen to try to work out how his tricks are accomplished. In contrast, many of the people watching a supposed psychic seem less determined to find out how the trick might be performed, because they already believe that they have an explanation – namely the power of the paranormal. Lamont has also studied Victorian spiritualism and recreated seances typical of the period using conjuring and psychology. His experiences have confirmed his belief that performing a trick as a pseudo-psychic is often easier than doing it as a magician, because the associations are very different. Using a magic wand to discover a selected playing card looks like trickery, while using a pendulum to locate a chosen Tarot card looks more like the paranormal. Even if nobody knew the real method, in the first case, everyone would assume it was a trick. In the second case, however, many people would assume they had seen a paranormal phenomenon. Part of Wiseman’s motivation for encouraging critical thinking among the public is the lack of balance in the media. 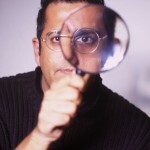 “Psychic stuff sells newspapers and gives TV high viewing figures,” he says, “but the other side of the story, the straightforward explanation, is much less appealing and is given much less air time.” According to Wiseman, some of the worst offenders were ITV’s “Beyond Belief” programmes presented by David Frost. Wiseman says that while the programmes claimed to present scientific demonstrations of the paranormal, there were few experimental safeguards and no detailed analysis. He could explain all of the effects using good psychology and techniques within the magician’s armoury, and without invoking the paranormal. However, bad TV demonstrations do not mean that all paranormal experiments are invalid. Wiseman’s most recent research paper on the paranormal, jointly authored with Julie Milton at the University of Edinburgh, was an analysis of 30 strictly controlled experiments on ESP, so-called ganzfield tests, conducted between 1986 and 1996. The bad news for psychics is that this vast amount of data did not support the existence of any paranormal phenomena. Some similar experiments conducted in the 1970s and 1980s claimed to show evidence for ESP, but it is now generally accepted that they were very poorly conducted and were open to fraud and misinterpretation. Unfortunately, the pro-ESP results of these studies were widely reported at the time and have since been heavily cited as reliable evidence. Not surprisingly, the new paper by Wiseman and Milton, containing one of the largest number of ganzfeld tests ever analysed, has received virtually no coverage in the press, presumably because its conclusion does not support the existence of the paranormal. “Magic in Theory” by Richard Wiseman and Peter Lamont is published by Hertfordshire University Press (£18.99).